I plan to approach the pregnancy and delivery as I did with my son three years ago, taking limited time away and working throughout. I've shared the news and my plans with Yahoo's Board of Directors and my executive team, and they are incredibly supportive and happy for me. ... I'm extremely energized by and dedicated to both my family and Yahoo and will do all that is necessary and more to help both thrive. The future looks extremely bright on both fronts. Mayer similarly issued a brief Tumblr post announcing that she had given birth, thanking supporters for their well wishes. Mayer's pregnancy announcement and the birth of her twins came just after a baby announcement from another leader of a tech giant. Mark Zuckerberg and his wife, Priscilla Chan, recently welcomed their first child, a daughter named Max. In addition to vowing to give 99 percent of their Facebook shares to charitable causes, Zuckerberg also expanded the company's maternity and paternity leave. The four months allocated for both new mothers and fathers is now available to Facebook employees outside the United States. 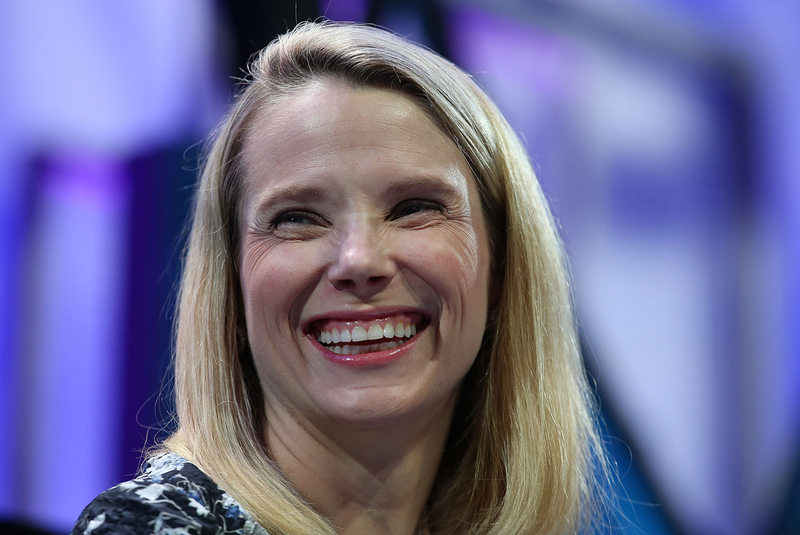 She's a role model and I think she should take whatever Yahoo's parental leave is — the mark of a great leader is that they have a strong team and don't need to be there all the time themselves. And she's having twins — just physically that's a big deal. The announcement that both Mayer and her twins are healthy is fantastic news. Hopefully they both continue to do well, no matter how hard Mayer works in the weeks to come.